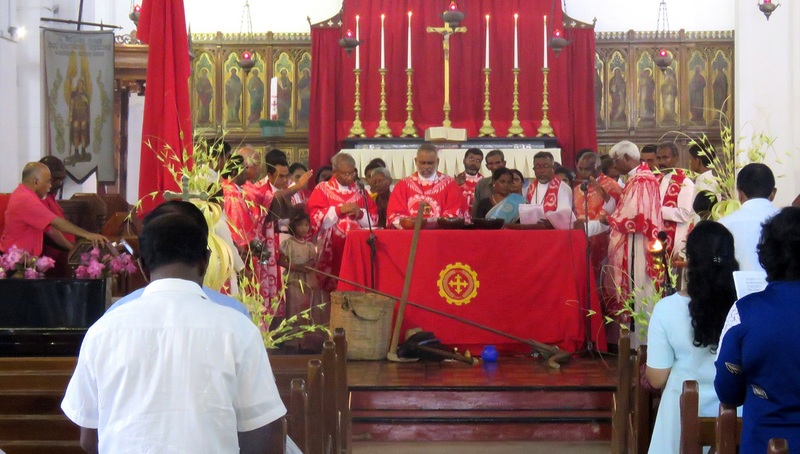 The Christian Workers Fellowship organised a rally and a mass for 1 May. 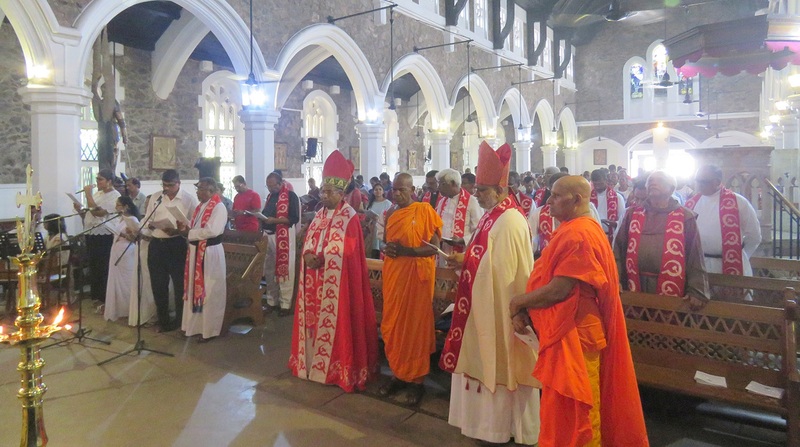 Christians of all denominations participated in the Eucharistic celebration, as did Buddhists and Hindus. 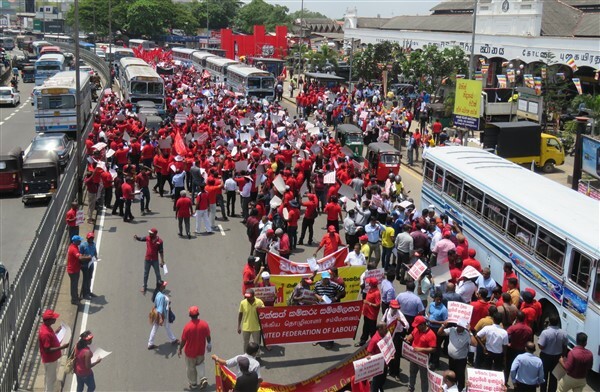 Thousands of workers took to the streets to demand an eight-hour work day and decent wages. 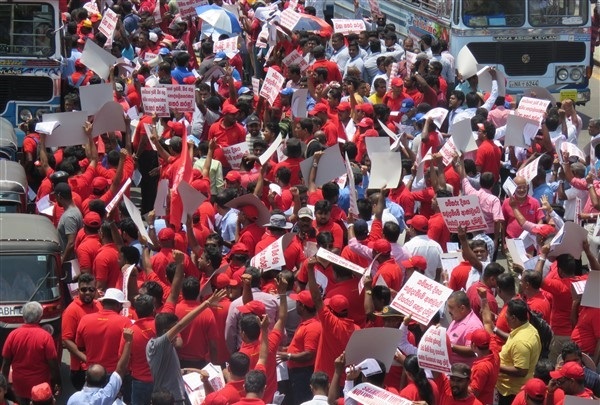 Colombo (AsiaNews) – Under the banner ‘To Stay United… Let Us Devolve ’Power’, Sri Lankan Christian workers held a rally on May Day, also known as International Workers’ Day, in defiance of a government order banning all demonstrations to avoid overlapping with the Vesak Buddhist festival (29- April 30). 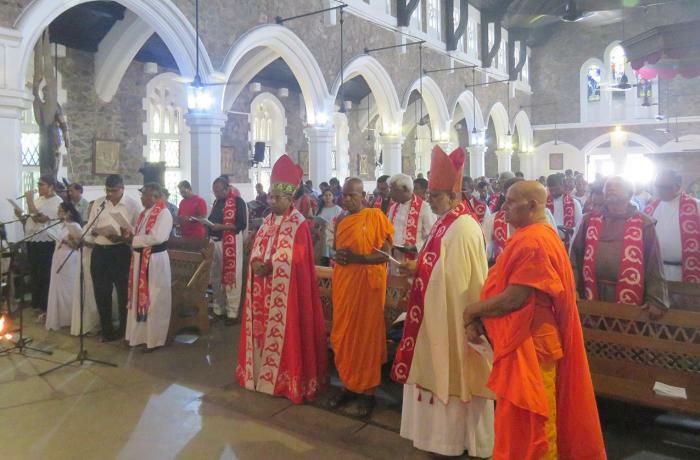 Rather than bow to the authorities, members of the Christian Workers Fellowship (CWF) joined Buddhists and Hindus in an interfaith ceremony to reiterate the importance of labour and national unity, which they believe can be achieved through a federal system. Since 1959, the Christian association has organised the same event each year. This year the authorities had decided that the day of celebration should be 7 May, but Christian groups chose to respect the official date. 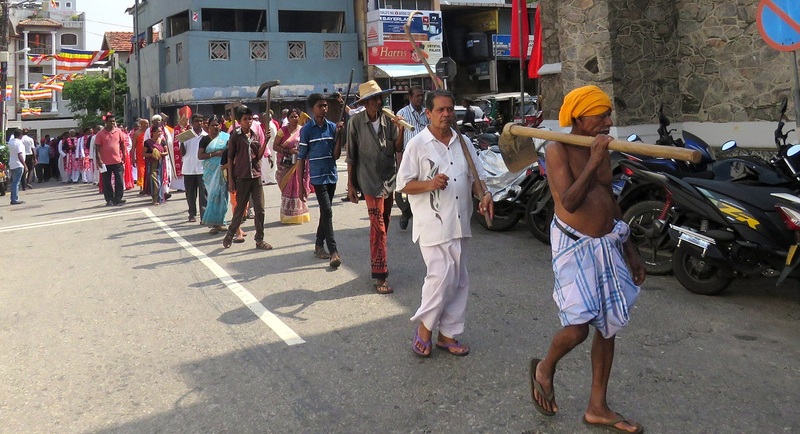 The event was held at St Michael's Church in Colombo 03, preceded by a procession of workers who paraded with the tools of their work: spades, rakes and plows. 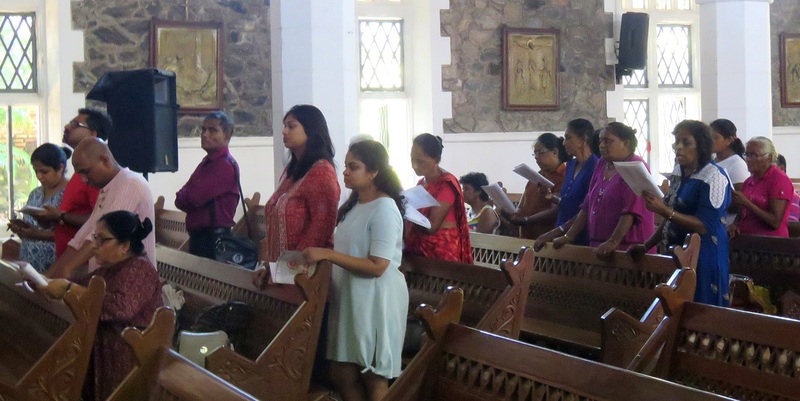 “Let us share power if we want to live together,” said Mgr Keerthisiri Fernando, Anglican bishop of Kurunegala during the Mass. 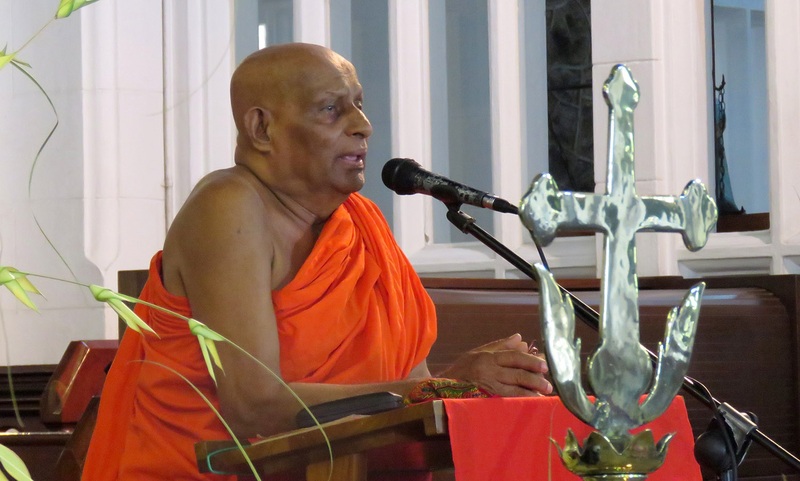 For his part, the Buddhist representative, Venerable Vishwa Keerthi Sri Shasrapathi Mahagalkadawala Punyasara, added that “there is nothing to fear about devolution of power. Federalism is not about giving away everything to Tamils”. The venerable was referring to the fact that federalism was one of the rallying points of Tamil leaders during the civil war, as opposed to Tamil Tigers who wanted to create an independent state in the north of the island. 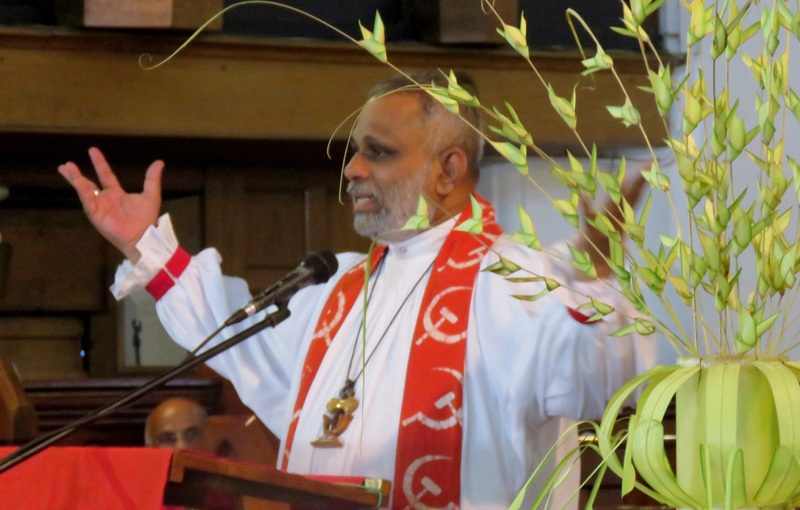 At the same time, “If the authorities cannot pay a reasonable salary for the toil of labour, there is no meaning in devolution of power,” noted Bishop Fernando. 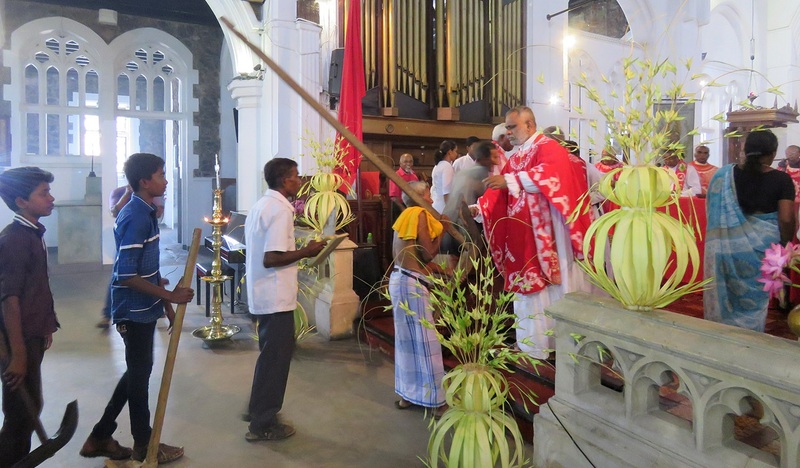 R. Thriowbathiamma and Manikkam Jayakody, two tea pickers from Badulla (about 250 km from the capital), also took part in the liturgical service. 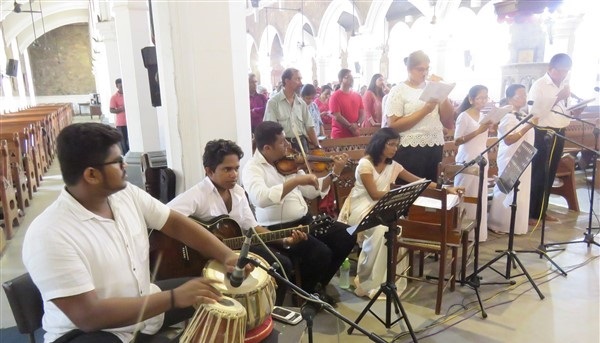 "Although we are Hindus, we want to receive God's blessings,” they told AsiaNews. “We need to pray for our lives because we are still far from the right level of justice. We are struggling. Our children deserve a proper life." 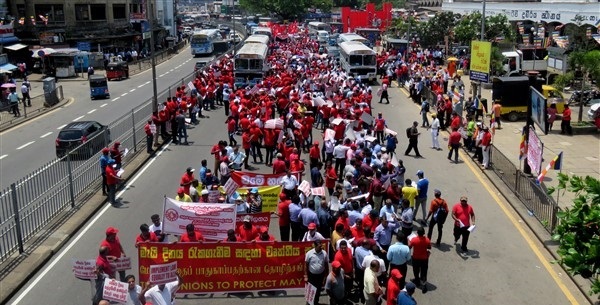 Whilst the Mass in Colombo was the only religious function celebrated on May Day, thousands of workers across the island took to the streets to protest against the government's decision to postpone the celebrations. Workers in the Free Trade Zones (FTZ), private companies and banks joined the rallies, demanding an eight-hour work day and decent wages. “May Day means May Day. It’s 1 May, not any other day,” said fishermen leader Loyal Fernando.